Spiral Heart Reiki | Reiki classes and healing sessions. Reiki classes and healing sessions. 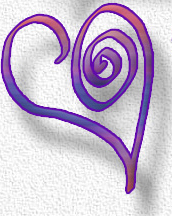 Welcome to Spiral Heart Reiki! The focus of Spiral Heart Reiki is to heal, educate, and empower those to find a more purposeful and abundant life. The mission is to provide guidance, and help others utilize, and understand the alternative healing method of Reiki. Our desire is to help those who want to take an active role in their healing process.